Home » Aesthetic News » Facelift » Is a Thread Lift Right For You? According to board-certified Manhattan plastic surgeon Dr. Thomas W. Loeb, the thread lift procedure itself has gone through a “makeover” of its own. The modern version is much safer, but is something he would only recommend for the right patient and the right situation. The thread lift is a minimally invasive cosmetic procedure for the face, neck, and jowls. Unlike a traditional face-lift, there are no incisions and no deep-tissue manipulation. The absence of visible scars and very short downtime makes the thread lift a desirable procedure for many. Using a large needle, plastic surgeons pass small cones with graspers on them beneath the skin to pull the skin into a lifted, youthful position. Anywhere from two to 20 threads may be used, depending on the patient’s situation. The original threads were made of permanent suture materials, which invited bacterial infections. The new threads are dissolvable, with effects lasting about two years. Surgeons say the barbed threads promote fibrosis and trigger the production of hyaluronic acid. The body responds by creating new collagen bundles. The new collagen provides better scaffolding to hold the skin up, while improving firmness and elasticity. The micro-trauma brings fresh blood, oxygen, and nutrients to the face, which also promotes younger-looking skin. The whole procedure is done in less than an hour, under local anesthesia, with sedation available upon request. Patients can expect two to three days of swelling and bruising. Thread lifts can be combined with anti-wrinkle injections, facial peels that improve skin texture, liposuction, and laser treatments to maximize the effect. Who is a good candidate for thread lift? Suffer from mild to moderate sagging or drooping in the cheeks, jowls, neck, or brows. Are between the ages of 35 to 65. Desire a subtle, natural restoration of youth. Need to improve loose, lax skin around the face that cause premature signs of aging. Have had previous face-lifts, but the effects are wearing off. Want to test-drive the idea of a face-lift, with more subtle enhancements and without invasive treatment. Have weakened facial muscles that require additional support. 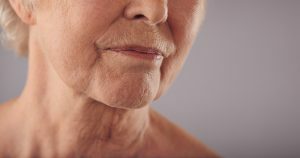 Patients may not be suited for the procedure if they have particularly weak or fragile skin, heavy jowls or sagging, or a thin face with very little facial fat. Patients are prone to disappointment if they are looking for a dramatic transformation to look 20-30 years younger. Are thread lifts the new face-lift?